When a man grows tired of his wife's cooking, he resorts to murder and cannibalism to get a decent meal. All he wanted was a damn bologna sandwich. Is that so much to ask?! "Microwave Massacre" is the directorial debut of director Wayne Berwick, who after finishing this project understandably didn't direct another movie until 2005's "The Naked Monster," 22 years after the release of this film. The story is written by Craig Muckler, who to no one's surprise has no other writing credits to his name. The screenplay is written by Thomas Singer. The story centers on Donald (Jackie Vernon), a typical, average construction worker who has very blue collar tastes. His wife, however, likes extravagance and fancies herself as a bit of a connoisseur when it comes to food and cooking. She prefers fancy French meals and other international cuisines. All Donald really wants out of life is a sandwich with cold cuts. When he finally gets fed up with her fancy-schmancy morsels, he snaps and kills his wife, and by accident, ends up eating some of her, as one may do. From then on, he develops a taste for human flesh that can't be quenched. From the second "Microwave Massacre" begins, you know exactly what you're in for. The opening credits run over the bouncing breasts of a woman in a tight shirt right before she gets them stuck in the fence surrounding a construction site. She suffers cat-calls and escapes just seconds before being assaulted at the hands of a construction worker. Yes, it's objectifying and offensive as hell, but this is an 80's horror comedy so we don't expect much less. 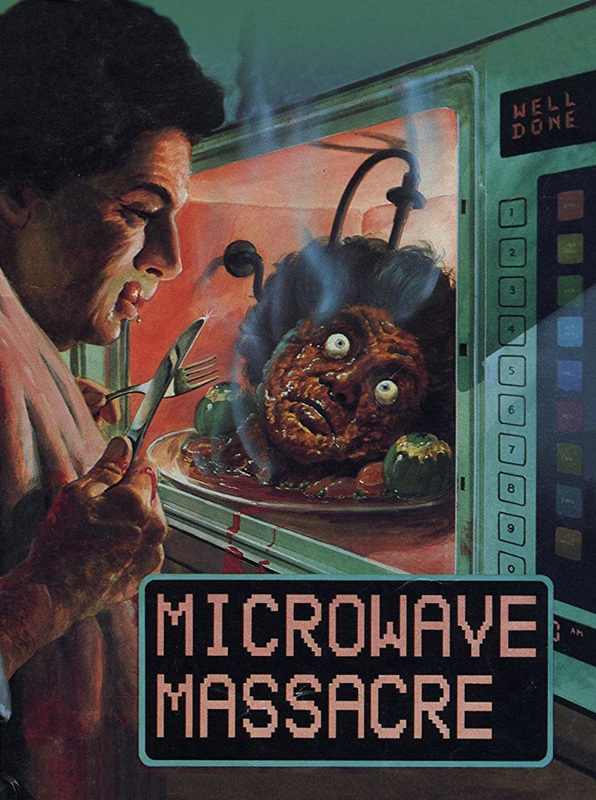 "Microwave Massacre" is a poorly made movie with horrendous acting, a silly story, and less than mediocre makeup and visuals. Early on, it hovers in "utterly awful but absurdly amazing" territory because everything that happens is so dopey that we laugh at the foolishness of it all. Unfortunately, the novelty of its cheesiness runs thin real quick. As the movie moves along its runtime, all of the humor and the horror start to become repetitive, which isn't fun at all and is just tiresome. When it comes to low-budget horror movies, we can forgive a lot of flaws, but it's tough to forgive movies that commit the cardinal sin of boringness. 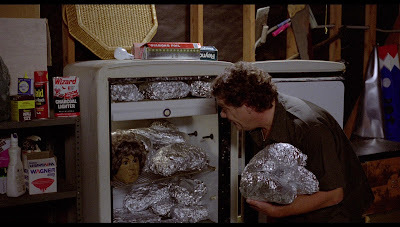 Slap on a totally unsatisfying ending and "Microwave Massacre" is better off forgotten. If you do dare seek this out, we say walk away after about 30 minutes, which is when it runs out of steam., because you won't be missing much.